Indications: Synthetic hormone designed to stimulate ovulation and egg maturation. Summary Recommendations: Gonal-F is most often prescribed as part of a fertility plan. It is important to follow the fertility plan, including instructions for taking Gonal-F and other medications prescribed with the synthetic hormone. Human chorionic gonadotropin may be prescribed concurrently with Gonal-F. Gonal-F may be prescribed to men and women. Other brand names for follicle stimulating hormone include Follistim and Puregon. General Precautions: Gonal-F should be taken as prescribed with any and all complimentary medications. If you are confused about how this drug should be taken, ask your physician to explain the medication again. Gonal-F increases your chances of getting pregnant with multiples (twin, triplets or more). 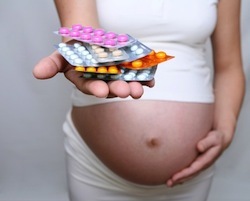 Discuss this issue with your doctor before taking the drug if you have concerns about multiples pregnancy. Women with thyroid disorder, abnormal vaginal bleeding, ovarian cyst, reproductive cancer or history of reproductive cancer or pituitary gland issues should make sure the doctor is aware of your medical history before taking Gonal-F or any reproductive medication. Common side effects may include headache, runny nose, sore throat, stuffy nose, pain at injection site and mild nausea. Serious side effects that have been reported in women taking Gonal-F include extreme lower abdomen pain, diarrhea, bloating, fluid retention in the chest and/or stomach, fast weight gain and reduced urination. It is important to report all side effects to your physician. Effects While Trying to Conceive: Gonal-F is prescribed to improve the likelihood of pregnancy by stimulating ovulation. This drug increases fertility, in many patients. Impaired fertility was noted in animal studies with doses exceeding 40 IUs/kg daily for extended periods. When used as directed, Gonal-F is more likely to improve fertility than impair fertility. Effects on Pregnancy: Gonal-F is in pregnancy category X. The Food and Drug Administration warn women of potential fetal complications that may occur if Gonal-F is taken during pregnancy. There have been no controlled studies on humans regarding complications of taking Gonal-F during pregnancy, but the FDA and other medical organizations maintain the drug should not be used during pregnancy due to risk of fetal complications. Safe During Breastfeeding: Clinical data on breastfeeding while taking Gonal-F has not been collected. The drug manufacturer maintains the drug should not be taken while breastfeeding, but the prescribing information given to patients suggests speaking to the prescribing physician if you plan on breastfeeding.